Trusted by His Peers | Glenn D. Cohen, M.D. So many healthcare professionals have trusted Dr. Cohen when the health of their hands, wrists, or elbows was on the line. See notes and hear audio comments from other medical professionals who have been patients of Dr. Cohen's. If you'd like to add yours to the list - email us. The finest hand surgeon in our community. Dr Cohen is extremely knowledgeable, kind, and attentive to the patient's needs. He listens very carefully and exercises good judgment in patient care. I would recommend him to my family and friends. He possesses surgical skills in hand surgery that very few doctors have. Technically Dr Cohen is in the top 5% of hand surgeons in US. Very professional and brilliant. I fractured my Left Ring Finger February 2008. I practice cardiology at the same hospital Dr. Cohen works in. I know little about hands so I consulted with orthopedic surgeons and anesthesiologists (they watch everyone’s surgeries and they know the best doctors) to find out whom I should have treat my hand. The answer was always Dr. Glenn Cohen. I met him and knew immediately why all the other doctors referred to him. Not only is he a skilled physician and surgeon but he also comforted me with his wonderful bedside manner. After my surgery I healed so rapidly and so perfectly I could not believe it. I am so thankful for his many gifts. I’d like to take this opportunity to thank you for the fine care you have rendered to me recently. Your fine care and professional manner, as well as that of your staff, is much appreciated and is very comforting. As I am sure you know as well or better than anybody else, acute hand trauma for a surgeon can be unnerving to say the least. Fortunately your confidence is contagious. Thanks again for all you do. I want to thank you so much for your expertise and top-notch service. As a surgeon, my hands mean a great deal to me. Thank you for not only being the best at what you do, but for also being so very caring. Keep up the great work! Thank you so much for all your care! You are a wonderful doctor! Dr. Cohen has clearly established himself as the leading hand surgeon in our community. I frequently refer patients to him, including those that have had poor prior outcomes. The patients consistently come back to tell me that not only is he an outstanding surgeon, but a genuinely kind and compassionate physician as well. He is the hand surgeon who I chose when my own son needed help, and I would give him my highest recommendation. After transecting my tendon last year, the ER Doctor remarked that Dr. Cohen was the specialist I needed to see. He was right. While Dr. Cohen is a very intelligent physician, well versed in current medical/surgical methods he has an excellent bedside manner. This kind of physician is in short supply today. He saw to it that I was comfortable before, during and after the procedure. I highly recommend him to friends and colleagues alike. Thank you so much for seeing my mother today. You are such a nice person and such a good doctor ( a rare combination these days). Thanks for being so kind to her and getting us right in. I have always said that it is not what you know but who you know every time! I owe you HUGE. The only good thing about this fracture is that at least I know she is getting the best care in the Universe. Much love and gratitude! I selected Dr. Cohen because of personal and professional references from the Hospital. His office fit me in right away and returned my calls when I had questions. Dr. Cohen is very knowledgeable and helpful. I would absolutely refer friends and family to Dr. Cohen’s office. Thank you so much for taking care of Isaiah. He should be your poster boy! We really appreciate all you do for us. You are the best!! Thank you again! Thank you so much for your care and expertise. It sincerely was very much appreciated. Your excellent work and generosity is much appreciated! 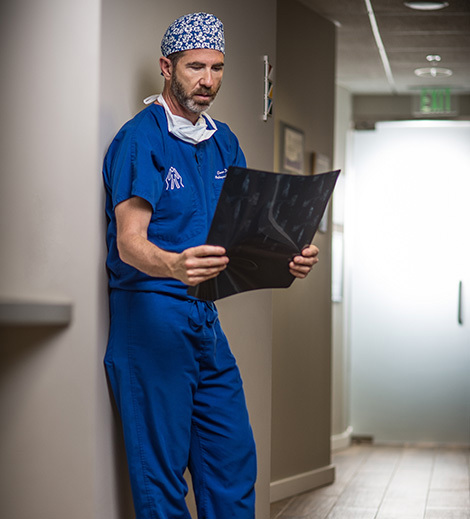 When seeing a physician for a specific injury I wanted to make sure that the doctor I saw is board certified and specialized in that particular orthopedic problem. Dr. Glenn Cohen was personal, professional and accommodating to my specific orthopedic injury. I would highly recommend Dr. Glenn Cohen for any hand specific orthopedic problem. Thanks so much for your kindness, expertise, and patience in dealing with a "whiney" patient. You're the best! Thanks again for taking care of Ben! It's very comforting for us to have you as his doctor -- we truly trust your opinion and expertise!! Sorry this took so long to get to you, but I wanted to thank you for the great care of my son! You did a fantastic job and I would always recommend you. I wish to thank you and express my appreciation for the kindness and care given to me during the year! M.L. (spouse of R.L., MD), R.N. Thank you for all of your help with my wife's finger. After all of the medication and procedures she went through, I'm glad all she needed was physical therapy. I appreciate your willingness to try therapy rather than rush her to the Operating Room, unlike our consult with another physician. We really appreciate all of the great care you provided to help our son's hand heal so he can do all of the things he loves. He is the Best!! My daughter loves to go there! Dr. Cohen makes her feel comfortable and Jo makes the most fun casts! Cathy, a nurse from Moorpark, California, discusses her son's broken wrist and her experiences with the doctor and staff. Dr. Cohen has an excellent reputation and is very knowledgeable and friendly. He explained everything to my son and me. He took good care of us. I worked with Dr. Cohen during the development of Specialty Surgical Center in Westlake Village. Dr. Cohen was a catalyst for the growth of our physician partnership base as well as in providing perspective into the design of our surgical center to provide the upmost benefits to our physicians, staff and patients. Aside from being an outstanding surgeon, Dr. Cohen is both extremely professional and personable. It was a pleasure to work with Dr. Cohen. I highly recommend him as both a business leader and a physician. Robin, from Ojai, is a nurse employed with the fire department and has nothing but praise after multiple surgeries for carpal tunnel and a metacarpal joint resection. As a pediatrician, I refer my patients with hand issues to Glenn D. Cohen, M.D. Not only does he do a superb job technically with them, but he and his staff are caring and efficient. I speak from experience since I’ve seen Dr. Cohen as a patient myself, as well! Thomas, a dermatologist from Westlake Village, California, whose hands are vital, comments on Dr. Cohen and his staff. This Dentist from Woodland Hills has nothing but praise for the artistry of Dr. Cohen. When a course of cortisone shots was not helping her De Quervain's and carpal tunnel syndrome, she elected to have surgery on both, and is very happy with the results. Today is 1 year from my wrist fracture. Actually 1 year ago at this time I had some ER doc cranking on my wrist to re set it. Can still hear the crepitus in my head. There is not a day that goes by that I don't appreciate what you did for me, especially when I have to think about what side was broken. Dr. Cohen and his staff provided exceptional care and services in treating a fracture to my pinky finger on my left hand. The care provided by Dr. Cohen and the therapy recommended allowed my finger to return to its natural position and prevented a surgical procedure that had been suggested by another physician. Dr. Cohen is a gifted and caring physician with excellent surgical skills and I would definitely recommend him.